The Israeli military issued, on Sunday, a military ruling renewing an order preventing the Palestinians from building in their own lands, in thousands of Dunams of Palestinian lands, south of the northern West Bank city of Jenin. Jenin Governor, Ibrahim Ramadan, stated that the army has officially informed heads of local councils, west of Ya’bad town, that it is renewing its original order, originally issued in 2009, denying them the right to build or modify existing structures in the area. The army considers the area in question to be under “full military control," and cannot be used by the Palestinians. Ramadan said the army handed the head of Zazlat Zeid village council a map showing that the ban on constructions includes Palestinian lands in Um Dar village, Nazlet Zeid, Zibda, al-Khaljan and several smaller communities, reaching the Qaffin town, in the Tulkarem district. He added that the lands, impacted by the Israeli ban, are around 60 kilometers long, and 3.5 Kilometers wide. 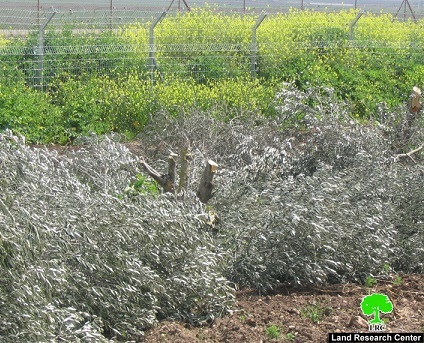 The Governor said the fact that the lands are under military control also means that the Palestinians cannot even plant them, an issue that violates of their basic rights as the owners of these lands. 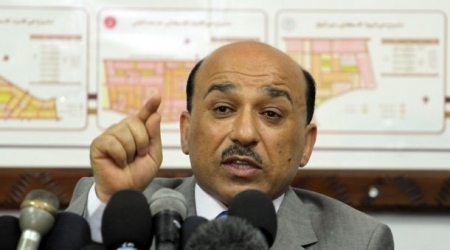 Mufeed Hasayneh, the Palestinian minister of public works and housing, revealed that he made contacts with China, Russia, Germany and India to support housing and infrastructure projects in the Gaza Strip. In a press statement on Sunday evening, the minister welcomed investments in the construction sector mainly in new building and infrastructure projects, pointing out that he made contacts with businessmen who revealed their intention to build housing projects to ease Gaza housing crisis. “The unity government will work hard to overcome challenges and alleviate the suffering of our people”, he said, expressing his wish to open all crossings and lifting the siege on the Gaza Strip. He pointed out that he daily discusses new developments with Prime Minister Rami Hamdallah. Minister of Public Works and Housing Mofeed al-Hasaina said Sunday that he has contacted China, Russia, Germany and India to bring support for housing and infrastructure projects in Gaza. Hasaina said that, "We welcome investment in the housing and infrastructure sector,” pointing out that he received many calls from businesspersons who have interest in establishing housing projects in Gaza to alleviate the deficit in residential houses. 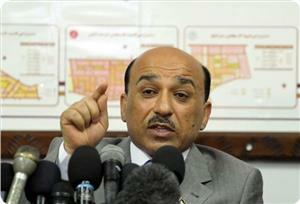 He hoped that the government would be able to end the imposed siege of Gaza and open the crossings. Hasaina was appointed last week as the Minister of Public Works and Housing in the Palestinian consensus government formed on June 2. The new government consists of three ministers from Gaza and 14 others from the occupied West Bank. Israeli occupation authorities refused to give three Gaza ministers visas to cross into Ramallah to be sworn in at the Palestinian Presidency headquarters. Palestinian Prime Minister Rami Hamdallah inaugurated on Saturday Al-Najah University teaching hospital in Nablus city, northern the West Bank. Hamdallah said that this is the first hospital of its kind in Palestine as it will provide advanced medical services in addition to medical training and research for the Palestinian people. The hospital will help to produce highly-qualified and skilled doctors and specialists, thus promoting the development of the Palestinian heath sector, he added. The current capacity of the hospital is 120 beds. It is equipped with a fully-running intensive care unit (ICU) and an emergency room in addition to all equipment necessary for dialysis treatment, X-ray, ultrasound, and computerized topography (CT) scans. In 2016, the capacity is expected to be 450 beds. The teaching hospital represents a crucial development in the medical landscape of Palestine as it is the first hospital of its kind in the country.